You are the proud owner of one of the most successful rimfire rifle designs in history. Since 1964, Ruger continues to pump out the semi-automatic that everyone loves. Its inspiration was found in the standard US military firearm from WWII into the Vietnam War: the M1 Carbine. Although you won’t be fighting battles with this rifle, it’s ideal for small game hunting and relatively close-range shooting. They serve every purpose from hunting to defense, to target shooting. They’re so popular that Ruger released 11 different models to suit every niche of their users. Although this isn’t a youth rifle, it has the characteristics of one. That means it’s perfect for teaching a first-timer how to shoot. Even without an interest in hunting, who doesn’t love some innocent can or bottle targets in the backyard? Let’s see exactly how far you can place those targets. Out-of-the-box, a Ruger 10/22 can shoot accurately up to 50 yards with less than 1 MOA. It doesn’t sound like much, but they aren’t made to be a long-range rifle. Otherwise, this timeless classic does exactly what it’s made to do. It hits small targets from a considerable distance without completely obliterating them. For many people, it also comes with a light wind of nostalgia. That’s because it’s the first gun we ever got to practice with as kids and still tote around today. So what can you expect on your next trip to the range with your Ruger 10/22? Remember, these ranges are simply an out-of-the-box standard. Ammo and aftermarket parts can cause the average range to deviate greatly. Believe it or not, they can make a noticeable difference. That’s why some people opt for longer barrels – a longer barrel gives a longer shot. If you’re new to the game, you might not think that a scope is necessary for shooting a football field length or less. That’s far from the truth. Since this rifle is ideal for small targets, all the extra magnification power makes a difference in precise shooting. Besides, you have to be able to see what your shooting in order to hit it, don’t you? Generally, longer shots require higher magnification. What is magnification and what does it mean? Check out our guide here to understand how lens measurements and magnifications work. So which one will work best for your normal shooting distance? Adept long-range shooting takes practice. Hitting small targets from this distance takes even more practice, better clarity, and higher magnification. 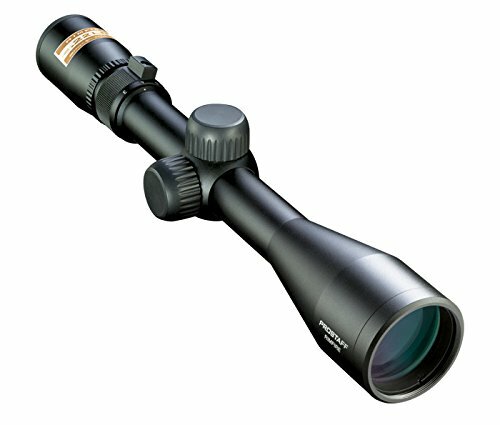 The best 10/22 scope for long ranges has a magnification of around 6 to 9x. Shooting within this range probably means you have rats loose in the barn or moles digging up your yard. If you want to get an edge on them, you’ll want somewhere between 4 – 6x power. The Ruger 10/22 is ideal for close range shooting. If you want a pinpoint shot to win that bet against your buddies, try 1 – 4x power. They’ll definitely be buying the next round and asking where you got your Ruger 10/22 scope. The best scope for Ruger 10/22 owners is the one that matches their marksmanship style. If you don’t require high power, stick to one that packs in more features with less range. Alternatively, if you’re never sure when the next shot will be, play it safe with a wide variable. A good scope will adjust quickly from 1x to 9x right when you need it! Finally, you’ve made the choice to step up your game. Besides a little bit of practice, all you’re missing is the best scope for Ruger 10/22 rifles. So which one is it? You don’t have to do all of the exhausting browsing and digging through the internet, we’ve already done it and narrowed the top 4 options down. Don’t settle for any less than the best. They’re all right here and can be mounted directly on your Ruger 10/22 today! If you are a fan of Ruger, you can check Ruger mini 14 scope recommendations. The Nikon Prostaff Rimfire offers 3-9x40mm power with a BDC reticle that shoots out to 150 yards. The superbly accurate adjustments offer a definitive shot for every pull. The scope offers generous eye relief of 3.6 inches, which is always a nice addition, no matter that the recoil which the Ruger 10/22 has is negligible. Then when you’re chasing small game, the quick zero reset turrets don’t mess around. You won’t waste one second in the field fumbling with knobs. It’s as simple as zeroing in and enjoying a locked in target through the rough use of several rounds. So far, it offers a lot of the most desired features that a budget scope should have. However, there’s one hidden spec in the fine print that raises it to a level of superiority. This is where the ProStaff really shines – literally! Right when you think an already clear, sharp view couldn’t get any better, it does. While most scopes offer 90% or lower light transmission, this one goes above and beyond. Of course, what else do you expect from an industry leader like Nikon? It only makes sense to put in the effort for high light transmission on a scope that helps you see small, quick targets. There isn’t one solid complaint about this sleek, quality scope. It does everything a reliable budget scope should do without fail. However, if you plan on shooting close-range targets, prepare for a little bit of blur. The parallax settings are not adjustable at 25 yards or closer. Otherwise, there’s no way you can go wrong by mounting this one to your rifle. When it comes to manufacturing high-quality rifle scopes, Vortex Optics is always on target (no pun intended). And if you’re looking for a scope which is ideal for close to mid-range shooting, then the 2-7×32 Crossfire II Rimfire is surely worth checking out. The Rimfire version of the Crossfire II comes with a V-Plex reticle that makes it suited to a wide variety of shooting applications. With this version of Vortex Optics’ rifle scope, you get a field of view of hundred yards. And the 3.9-inch eye relief ensures that all the shots you take are comfortable. However, at higher magnification levels, it can get a little washed out. So, if you’re looking to use your rifle scope over longer distances, opt for some of the other choices on our list with magnification more than 7x and a bigger lens. One of the best things about every Crossfire II model is how well they are built. 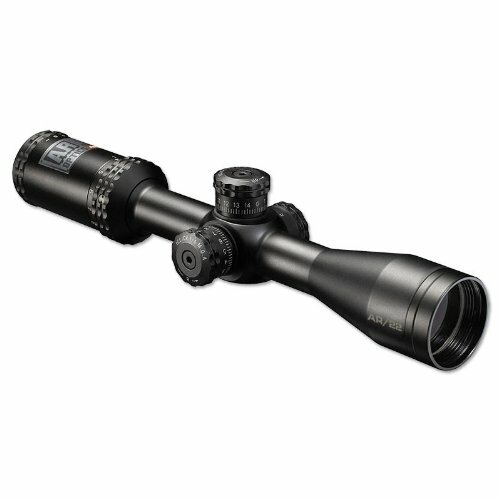 These riflescopes are crafted out of a single piece of aircraft grade anodized aluminum tube. Moreover, the scopes are O-ring sealed and nitrogen purged, which ensures they are waterproof and fog proof even under the most challenging situations. Apart from long range shooting, the Vortex Optics Crossfire II 2-7×32 Rimfire impresses on almost every front. It is durable and well built, fitted with excellent optics, and comes with a simple yet effective reticle. You surely can’t ask more from it. You can also check our best rimfire scopes guide, in which this scope also features. Do you want true ingenuity for pocket money price? 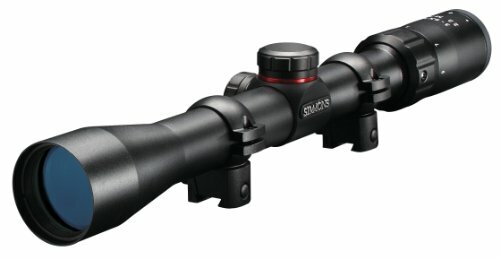 This riflescope features technology made especially by Simmons. This includes the HydroShield lens coating to prevent reflection and glare. Their steel-on-steel TrueZero system locks in “true zero” hunt after hunt while improving windage and elevation. When you go to adjust your elevation, the SureGrip rubber surfaces let you handle your scope in any condition. However, like a lot of low-budget scopes, a screwdriver is necessary to make adjustments. Additionally, the adjustment clicks are not clearly distinct but are still helpful. Otherwise, there’s one more fantastic Simmons specific feature that neatly ties it all together. Are you using heavier loads in your rifle and suffering from heavy recoil? Simmons ceases the suffering with their QTA technology. The eyepiece has a large, clear optical view that gives you more in-focus vision. It saves time from wiggling and repositioning when you’re shooting from awkward spots. You won’t waste a second on the field or miss out on any cheeky creatures. Simmons pours a lot of heart into this product to offer you a good, budget scope. Although it has its share of downsides, consider all that you get for an amazingly low price. It’s by far the cheapest on our list and is such a good deal, it’s almost highway robbery. However, don’t use this scope for actual highway robbery! The Simmons would also be a good scope for Marlin 60. If you are a fan of Marlin rifles, you can also check which are the best scopes for Marlin 336. This lightweight, 2-7x32mm rifle is perfect for close to mid-range shooting. The caliber-specific reticle is always precise and bright even despite dim and cloudy days. You won’t have to throw your hands up in frustration when the weather tries to ruin your day! Aiming points stretch out to 125 yards while shooting accurately up to 100 yards and zeroing at 50-yd. Regardless of how far you’re shooting, the forgiving 3.7-inch eye relief will make all shots comfortable and pain-free. Target turrets make for an even more precise shot. However, if you’re tracking game, they won’t keep up well. Otherwise, your adjustments will be perfectly on spot. What else can you expect from this rugged, reliable scope? When you’re on the prowl and moving quickly, the magnification will work with you. The only power that isn’t very effective in fast, hectic moments is the highest, 7x setting. On the other hand, it’s perfect when you are aiming still on the range or long-distance hunting. Just remember, before you expect to bag a bird from long range, you’ll have to practice first. This scope takes away a lot of the work, but still requires long-range skill on your part. This is a basic, budget scope made by a trusted, USA-based riflescope brand. For the price you pay, you really aren’t missing out on anything here. It gets the job done and leaves everybody happy at the end of the day (except for your target!). As long as you aren’t looking for extravagant bells and whistles, this is a safe choice that you won’t regret. If you are after a red dot, check our Bushnell TRS-25 Review. Do you want to get the advantage on those pesky creatures in your yard? Perhaps you just want to get an advantage on your buddies at the range? Either way, it won’t happen without the best scope for Ruger 10/22 rifles. With so many low-budget options with high-quality performance, it’s hard to resist. You can go all out on high-dollar optics, but they won’t make a noticeable difference above other 10/22 scopes. Beyond that, there isn’t any sort of customization or special ammo that will match what the perfect scope can do. Find yours today and finally realize what you’re capable of accomplishing with that trusty old rifle on the wall. If you own a more expensive rifle like the M1A, you can check which are the best scopes for m1a or read our more general best .308 scope guide.